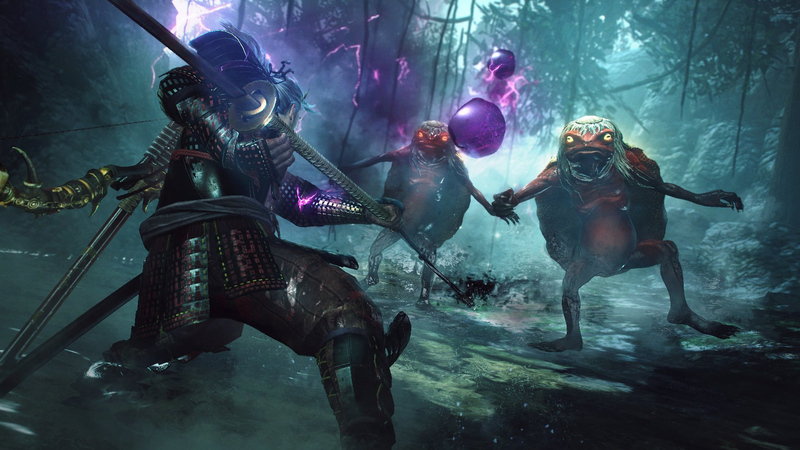 Slipping in right before tomorrow's launch, Team Ninja has a trailer out for Dragon of the North, the first major DLC for Nioh. As I was just saying the other day, I'll gladly take any old excuse to get back into this game -- it's a top ten contender for me this year, despite how absolutely packed it's been. Dragon of the North will have new story elements relating to the "One-Eyed Dragon," as shown in this cutscene footage, along with the odachi, a far-reaching new weapon type. The trailer doesn't give too much away, preferring to show only snippets of new characters, yokai, and spirit guardians. Also, I like that it ends on a happy note: more Kodama to rescue!